Echo Hotel is a popular hotel and comprises two bedroom kitchenette suites, two bedroom family rooms, deluxe twin/king rooms, compact twin/queen rooms and luxury two, three, four and five bedroom condominiums. Most rooms types come with mountain views. The top floor lounge has stunning views of the mountains including the Olympic Ski Jump and has a pool table, lounge area and large flat screen cable TV. Breakfast is held daily in this room and the sunrises can be especially breathtaking. There is a lounge bar at street level and also a laundrette. 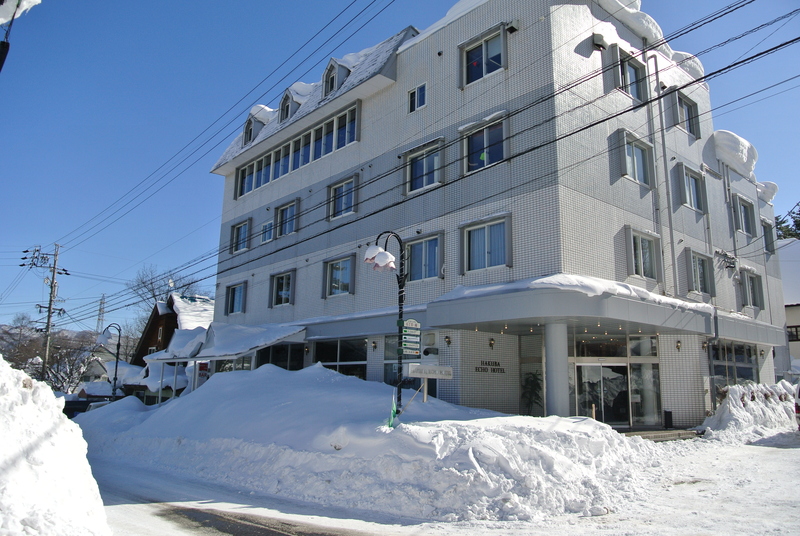 Echo Hotel is one of Hakuba’s best value for money establishments with its excellent location, spotless rooms and friendly staff. The room styles have options to accommodate 2 to 11 guests so great for couples, families and groups. Echoland, the area it sits in the heart of, is surrounded by restaurants, shops and bars. This area known as “the village” is where most of the independent restaurants are and has a large selection of international cuisine. If you are not wanting to dine in hotel restaurants then you will more than likely come into this area at night if staying in any other area. Located in the main street this hotel is only a five minute free shuttle to Happo One or 47/Goryu Resorts. The free resort shuttle stop is right opposite the hotel and walking to either of these resorts takes 10~15 mins. The hotel also has its own shuttle service in the mornings to the Hakuba 47 and Happo One Resorts.